East Jakarta Tourism and Culture Sub-dept. will hold 12 cultural arts events in 2018. These are sub-dept's annual events funded by City Budget (APBD).
" We hold 12 cultural arts events to preserve our culture"
East Jakarta Tourism and Culture Sub-dept. Head, Iwan Henry Wardhana said, it is one of his side efforts in preserving local culture. "We hold 12 cultural arts events to preserve our culture. These also have been budgeted in City Budget and it will be started in April," he informed, Friday (3/23). According to him, in the near future his side will hold Abang None candidates selection and its final night will be held on April 27. Then, cultural arts coaching will be held in RPTRAs and flats. 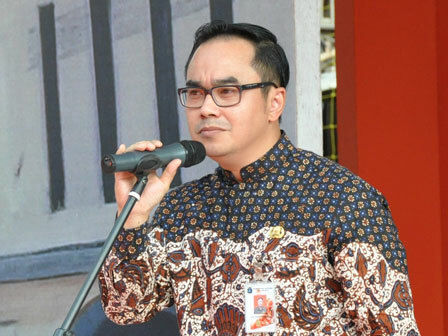 "Moreover, we will hold Gebyar Budaya Betawi on June 22,23, and 24," he stated. Besides, East Jakarta Theater Appreciation event will also held on August 5-11 and religious art competition on August 28-29. "There are arts appreciation and competition on September 4-5 for students of kindergarten, elementary, junior high, and senior high school," he added. Others are art performance at city level and cultural art event which are held in featured East Jakarta areas. These two events are held along this year, from January to December.